Place the puris in a large platter. Make a hole on top of each puri. Fill each puri with little bit of potato, chick peas, moong, onion and sev. Put little curds to each puri. Drizzle a bit of green and tamarind chutneys. Sprinkle salt, cumin powder and a pinch of red chilli powder. Garnish with sev and chopped coriander. 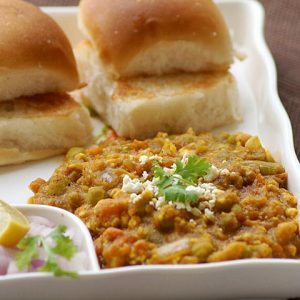 Feel free to comment or share your thoughts on this Sevpuri Recipe from Awesome Cuisine.